M-Net’s commitment to local storytelling continues with an updated slate of new productions that will provide compelling viewing for DStv customers and take African stories to the world. Following the announcement of a television series of Deon Meyer’s novel Trackers, M-Net has released details of a new drama, Shaka-Ilembe, which will be produced with Bomb Productions. This epic series tells the story of precolonial kingdoms and paramountcies; and the heroes and villains who shaped and influenced one of Africa’s greatest Kings – Shaka kaSenzangakhona. Bomb is known for creating some of South Africa’s most iconic television, such as Yizo Yizo, Zone 14, Jacob’s Cross, Isibaya and many more. The team collectively boasts hundreds of awards including 22 SAFTA’s, two Sundance awards, an Emmy award, The Venice Silver Lion, the Pare Lorentz award as well as a Bafta and Oscar nomination. The directing team that brought us Yizo Yizo 21 years ago, Angus Gibson and Teboho Mahlatsi, are excited to be working together on this epic series. “Scale will not be compromised – whether that be in battles with 20 000 warriors, the visualisation of a kingdom or the capturing of an elephant,” Gibson and Mahlatsi emphasise. Bomb is in partnership with M-Net’s Mzansi Magic on this ambitious project and has commenced initial pre-production as they jointly seek strategic partnerships. The team behind the scenes is vast; historians, traditional leaders, oral custodians, royal advisors, intellectuals and filmmakers are all ploughing through the many versions of these stories to ensure authenticity. It includes acclaimed playwright Mpumulelo Grootboom, Catherine Stewart, Nhlanhla Mtaka, Jacob Ntshangase, Hlonipa Mokoena, Benedict Carton, Thishiwe Ziqubu and many others. 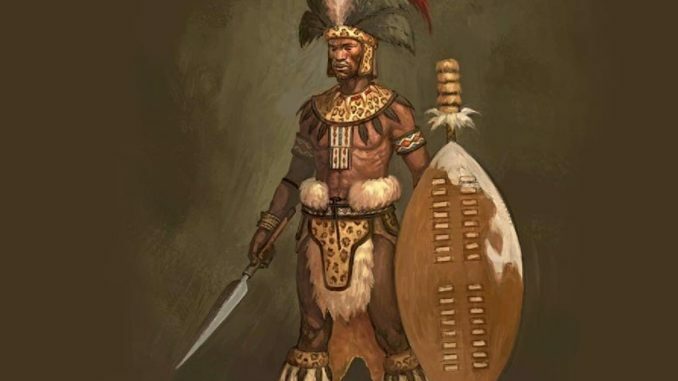 The series will tell the story of the powers that influenced and shaped Shaka – the drama unfolding from the time of his conception, his unmatched bravery as a young man, the early attempts on his life – and the subsequent years of exile with his mother. We will meet the great chiefdoms of the AmaThethwa, the AmaNdwandwe, AmaQwabe, AmaHlubi and more. And out of this epic canvas, we will see the heroic rise of Shaka. “We are at a pivotal time in history, a time where South Africa is reclaiming its own story, where history has been re-examined – what we once were told (or believed) is being shattered – not with new truths, but truths that were suppressed. To tell the story of Shaka is a huge honor, and a huge responsibility” says Jacob Ntshangase.